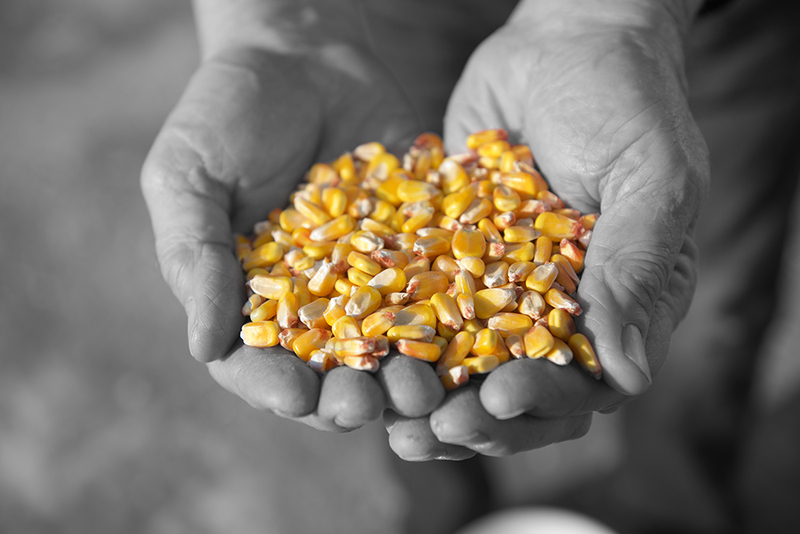 Corn has long been one of Kentucky’s most profitable crops, sold as feed for livestock, food for people and fuel for ethanol-powered vehicles. Increasingly, however, the state’s farmers are selling corn to quench a worldwide thirst for bourbon. Bourbon, like all whiskeys, is distilled from a mash bill, or recipe, of fermented grains. But unlike all other whiskeys, bourbon must begin with a recipe that contains at least 51 percent corn. Kentucky distilleries make 95 percent of the world’s supply of bourbon, and consumption has been growing at a dramatic rate. For five years straight, Kentucky distillers have filled more than 1 million barrels, and the current statewide inventory of 6.8 million is the highest since 1973. And behind every one of those barrels is around 16 bushels of corn. As recently as 2014, Kentucky farmers grew only 40 percent of that corn, with much of the balance coming from Indiana. But in the past three years, the amount of Kentucky-sourced corn has increased by 65 percent, according to the Kentucky Distillers’ Association. That means Kentucky farmers are now growing two-thirds of the corn used to make Kentucky bourbon. They are also raising more wheat, which is used as a flavoring grain in some bourbon brands. “I think people want to support their local farmers. It’s like farm to table. 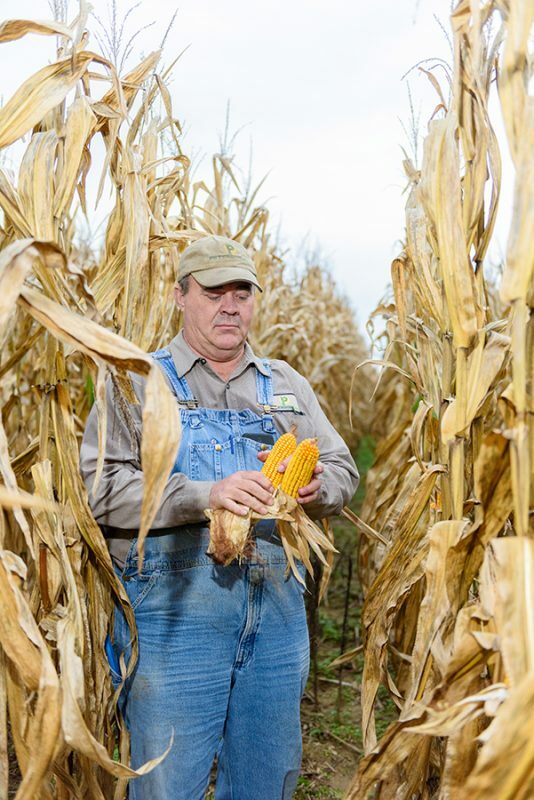 They want something grown in their area,” says Richard Strode, immediate past president and current board member of the Kentucky Corn Growers Association (KCGA) and a farmer in Daviess County. The KCGA works to find new and better markets for the more than 6,000 farmers it represents, partly through a small checkoff fee the farmers pay per bushel sold. Even with the increased demand from bourbon makers, distilling currently represents only 7 to 10 percent of the overall market for Kentucky corn, Strode says. But “it does give us another place to go with our corn, and it helps the price,” he says, especially for central Kentucky farmers. 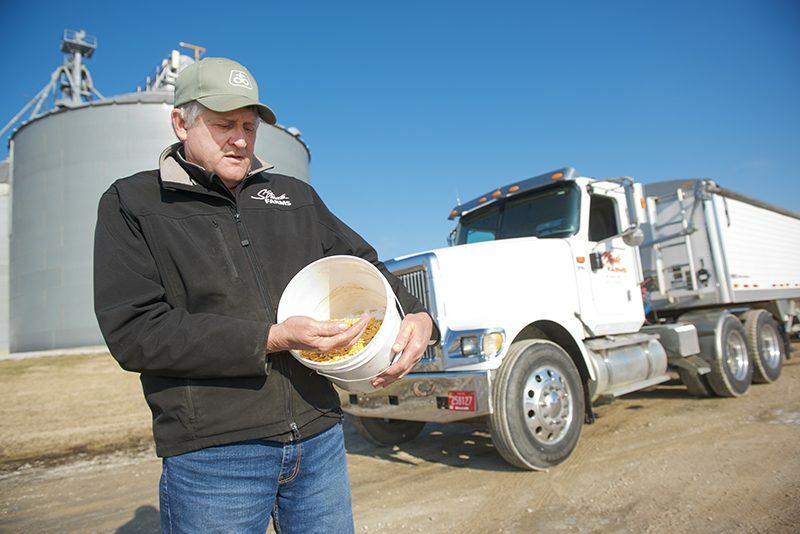 Without distilling customers, those farmers would be hauling more of their corn to Owensboro or Louisville to be shipped downriver to places like New Orleans, he says. Ironically, it was that same trip—much longer in those days—taken by early barrels of Kentucky whiskey that gave bourbon its distinctive amber color and much of its flavor. Caverndale Farms has provided the corn and wheat for Wilderness Trail since Heist and Shane Baker started the distillery in 2014 as an outgrowth of Ferm Solutions, their fermentation consulting business, and recently started growing rye for them as well. Originally located in an unremarkable concrete-block building in downtown Danville, Wilderness Trail moved in 2016 to a 22-acre farm served, like Caverndale, by Inter-County Energy. In late 2017, Heist and Baker installed a 43-foot-tall, continuous column copper still and six new 20,000-gallon fermentation tanks. When that system became fully operational in March, the distillery’s output increased from 24 barrels per day to 150. Wilderness Trail will release its first bourbon, a four-year-old, 100 proof wheated bourbon, on April 28. Farms that have long-standing relationships with large, established distilleries also have seen gains. Peterson Farms, based in Loretto, has been involved with its famous Loretto neighbor, Maker’s Mark, for going on 70 years, through four generations, says Bernard Peterson, who co-owns the operation with his brothers, Billy and David, and Billy’s son Albert. Peterson Farms, which is served by Inter-County Energy and Salt River Electric, now manages more than 16,000 acres of corn, wheat and soybeans in seven central Kentucky counties. The Petersons sell almost all of their corn to distillers, with about a third of it going to Maker’s Mark. Since the early 1990s, Peterson Farms has been the exclusive supplier of the soft red winter wheat that gives Maker’s Mark its distinctive taste profile. Bernard Peterson estimated that his wheat crops have increased eightfold since then. Maker’s Mark, the largest industrial member of Inter-County Energy, continues to expand. In 2015, the distillery added a third still that increased its production capacity by 50 percent, part of a $70 million investment by owner Beam Suntory.